As a narrow-web equipment manufacturer with operations on a global scale, Rotoflex recognizes a key element to success lies in…our agents. On a local level, they advocate our brand and invest years developing and nurturing relationships with label printers and converters. Rotoflex is fortunate to have a strong network of global representation, and as a brand of Mark Andy, these local agents are rich in print expertise from pre-press to label printing and finishing, and all the important consumables in between. 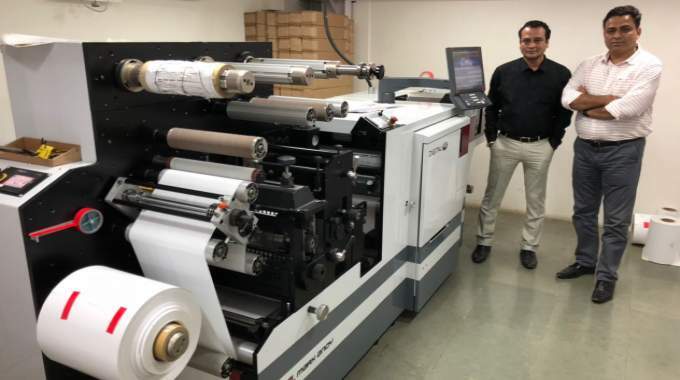 FIG (Flexo Image Graphics), a long-standing agent of Rotoflex and Mark Andy dating back to 2000 with their first 2200 press sale, has brought success for both brands throughout India and beyond. 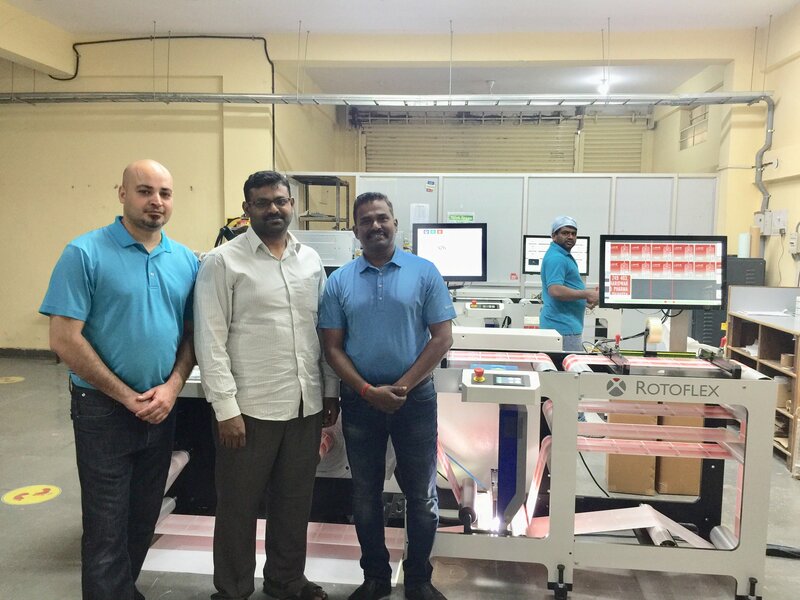 With over 330 installed Mark Andy and Rotoflex machines in India, Sri Lanka, Pakistan, Gulf and Africa, FIG has created a brand of its own. An agent that offers local technical support to support an installed press or offline finishing machine long after the sale is an important advantage for a printer. 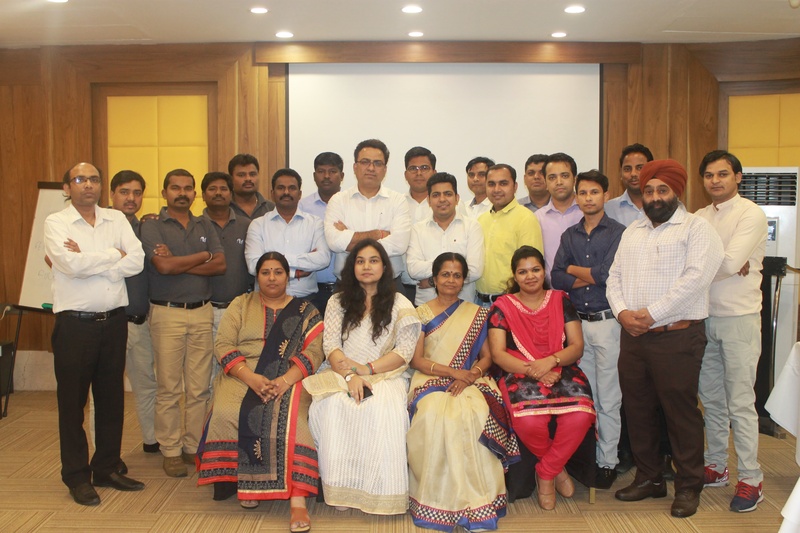 With operations from three offices in India (Delhi, Chennai and Mumbai), FIG has a team of eight well-trained service engineers and five sales executives for thorough coverage of their regions. FIG also provides additional support with nine back-office staff from accounting, marketing, sales administration and customer support. In addition to the activities in India, FIG also serves adjoining countries in Bahrain, Bangladesh, Bhutan, Ethiopia, Kuwait, Nepal, Oman, Pakistan, Qatar, Sri Lanka and Yemen. According to Gourav Roy, managing director of FIG, the Indian market is in transition. Existing label printing companies are either adding capacities or finding niche applications like security printing, in-mould labels, shrink sleeves, specialty labels and more to add value. For example, Mumbai-based Barcom Industries opted for the Rotoflex Security Series module integrated with a VSI 330 slitter rewinder, high-end Nikka inspection system for advanced bi-directional inspection capability for pharmaceutical and other security labels with strict compliance regulation. According to Prasanna Sahu of Barcom, the bi-directional inspection capability of the machine set it apart from other solutions, as it ensures zero chance for human error: "We can assure 100% defect-free labels, not only to the pharma companies, but also to the liquor, FMCG, and food industries." FIG also installed the first Mark Andy Digital One label printing press in Asia also at Barcom, and anticipates a lot of excitement in this press from the Indian market. Last year, FIG organized a meeting of local printers and suppliers in Colombo, Sri Lanka where Roy pointed out some of the challenges faced by the Sri Lankan label printing community, including tight margins, high material costs, need of skilled operators, and need to diversify to be able to grow profitably. FIG recently installed an eighth Mark Andy 2200 press at Sri Lankan printer T Print, as they seek to diversify from making tea bags to printing product labels. T Print also houses six Mark Andy 2200 presses with water-based inks for making tea tags and pouches as well as a Rotoflex VLI 330 slitting machine. Mark Andy recently hosted its annual Distributor Meeting at its European headquarters in Warsaw, Poland. 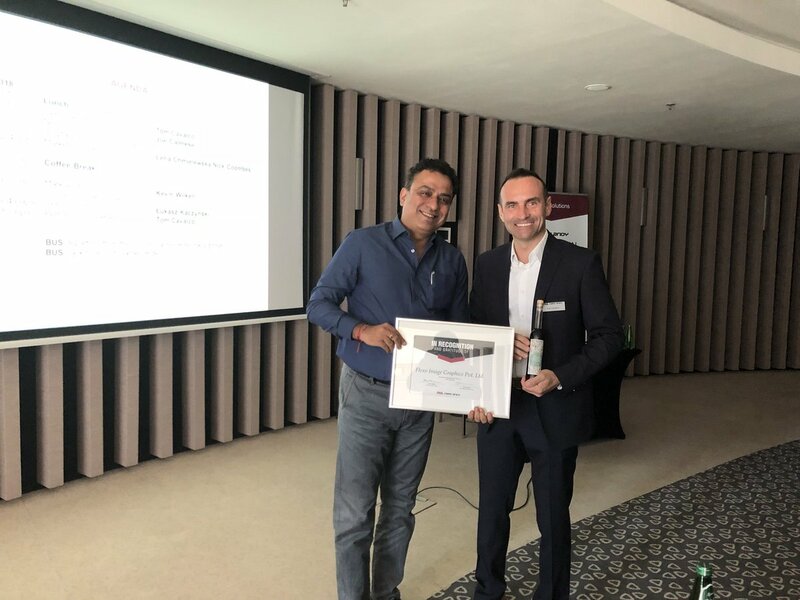 During the event, Tom Cavalco, managing director of Mark Andy Europe presented FIG an award of recognition and gratitude, accepted by Gourav Roy who claimed it to be a proud moment for FIG. From personally working with Gourav and members of the FIG team, and spending time together during my travels to India, it is truly an honor to congratulate this stellar company on all they have achieved over the last 18 years! I know they will enjoy many more years of success ahead.